LeEco (formerly LeTV) is back with its second generation of Smartphones – Le 2 and Le Max 2. These mobile phones have made a big splash in India and have been in the news. It’s because they are the first phones to ditch the 3.5mm headphone socket for CDLA (LeEco’s proprietary digital audio standard). Let’s dig deeper to see what the phone has to offer. 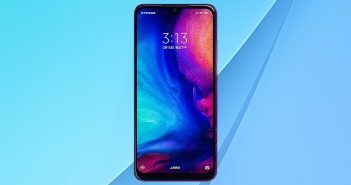 Does it justify the Rs 29,999 price tag? Here’s our review, of the LeEco Le Max 2. The Le Max 2 Mobile phone has a metal uni-body design look and feels a lot more polished. LeEco comes with a 5.7-inch Quad HD panel with Gorilla Glass protection. 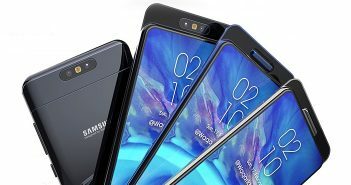 The Rose Gold version might not suit everyone’s taste; however, the phone gives the impression of having a bezel-less display. We loved the color reproduction, brightness levels and acceptable sunlight legibility that the cell has to offer. The phone has a single slot for two Nano-SIM cards on the left. The volume and power buttons are placed on the right. The back of the phone has a sizable protrusion for the camera module. There’s a fingerprint sensor placed just below the camera, which thankfully, is larger and better as compared to Le Max. Unlike other capacitive fingerprint sensors, the Le Max 2 uses Qualcomm’s Sense ID ultrasonic fingerprint technology that uses ultrasonic sound to map your fingerprint and authenticate you. LeEco’s Type-C headset is sold separately. However, you can get them free if you pick up the Le Max 2 in the first flash sale. Overall, the design and aesthetics are quite improvised in contrast to Le Max. However, the phone still feels cumbersome and heavy – 185 grams despite the reduction in screen. 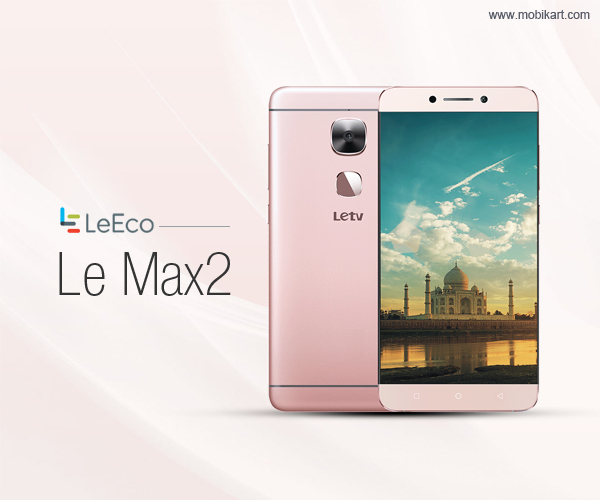 The Le Max 2 Smartphone packs in a quad-core Qualcomm Snapdragon 820 SoC and runs Android Marshmallow OS. The Le Max 2 handles daily duties very well. Thanks to its snappy CPU with 6GB of RAM, and 64GB of storage. 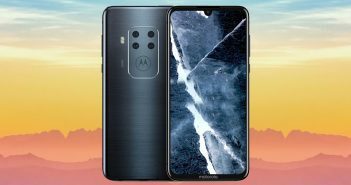 The lower cost version with 4GB of RAM and 32GB of storage is also avaliable. LeEco’s Le Max 2 comes with the ‘Supertainment’ content ecosystem baked into it. Other features include Wi-Fi, USB, GPS, etc. You get 4G LTE support for both FDD and TDD LTE. The phone however lacks FM radio or NFC. The video player handles 4K videos with ease and supports Dolby Atmos to boost the overall soundstage. Another best hardware features of Le Max 2 is the USB Type-C audio standard which LeEco calls CDLA. The Le Max has a lovely camera with 21-megpaixel sensor offering optical image stabilization. The front 8-megapixel camera captures decent selfies and does video recording which is limited to 720p. The phone features a 3100mAh battery which should have been higher considering the overall dimensions of the device. The LeMax 2 has a higher resolution display, good camera quality and great battery life. The Smartphone supports CDLA that will redefine your on-the-go music listening experience. However, the software still needs a bit of polish. The interface runs smooth but lacks the lightning fast responsiveness like Nexus phones. In addition, the fingerprint sensor isn’t most responsive. The phone is quite heavy and there’s no NFC either. Being priced at Rs. 22,999 for 4GB RAM and 32GB storage, the Snapdragon 820-based Smartphone is also a direct competitor to the OnePlus 3. Well if you’re determined to buy a Super-phone in this budget, you simply cannot ignore the OnePlus 3 which is a smart choice in the category.